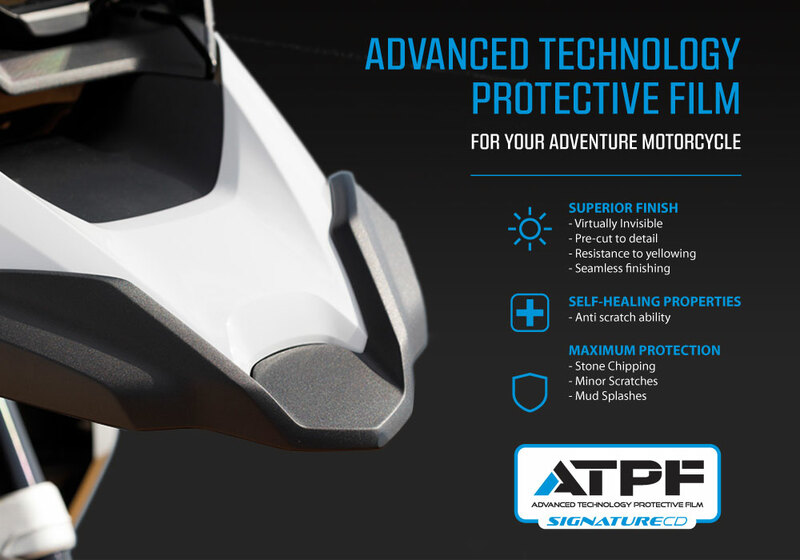 SignatureCD is proud to introduce its new advanced technology protective film, known as ATPF. ATPF can help to preserve the showroom look of your motorcycle without affecting the original look. The superior finish, makes ATPF virtually invisible with its seamless finishing. ATPF gives the maximum protection from stone chipping, mud splashes and minor scratches.The most important feature of ATPF is its Scratch resistant ability. Its unique self-healing properties can reset the surface of the protective film if it receives any light scratches, by applying heat or warm water.